Indellient unleashes a completely redesigned brand identity to better match the company’s growth and innovative offerings. Oakville, ON – August 29, 2018 – Indellient Inc. – a software development and IT professional services firm that empowers businesses to meet and exceed their critical business and technology objectives – is excited to announce the launch of its new corporate brand. 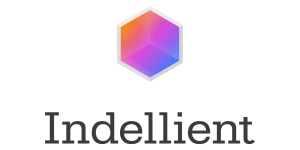 Indellient’s brand refresh reflects the transformation and continuous innovation that has brought new products, services, and capabilities to market in recent years. The rebrand was a strategic decision made after years of exponential growth and increasing market impact coupled with new partnerships, awards, products and people that, together, highlight the bright future ahead for our company. The new logo, with its strong shape and bold colors, brings alive the true strength of Indellient’s people while representing their diverse talents and innovative mindset. It is simple yet empowering, matching how Indellient solves their clients’ complex problems by providing creative solutions that simplify and enhance their business for success. Indellient’s new and improved logo is bold, fierce and unique – matching its people and values. The redesigned website also features a sleek, contemporary design that enhances the user experience and displays a more unified brand. The new brand identity initiative, led by Indellient’s Creative Director, Graham Bissitt, was the result of significant consultation and design work and supports our commitment to our team and, more importantly, our clients. We are excited for our customers and team to start displaying our new brand proudly! The site will continue to be updated with news of recent business activity, milestones, events and more.